To help orient you a little about what we offer, most of our Super Vikings are airplanes Pinckney Aircraft sold new, have since remained low in total time, and in almost every case represent the very finest examples of Super Vikings remaining in existence. We do not broker. We purchase and own the Super Vikings we offer. This allows us to select, and improve on, only the very best, and then make this finished product available to those who want the very finest. For the most part you are purchasing an airplane that resembles a new or later model Super Viking for approximately 25-35% of the cost of a new airplane. The last new Super Viking was manufactured in 2005 and listed for approximately $535,000. In addition to the later models, we also focus on very select 1979 and newer models, as 1979 was a year of special improvements including approximately ten knots of increased speed. The 1979 and newer models are representative of and very similar to, in almost every way, the latest models manufactured. On our inventory page you may click on any of the N numbers at the top left side of the page and you will find detailed information on available for-sale aircraft or a brief description of those that may not be available for sale at present, however are undergoing our renewal process and will be available at a later date. 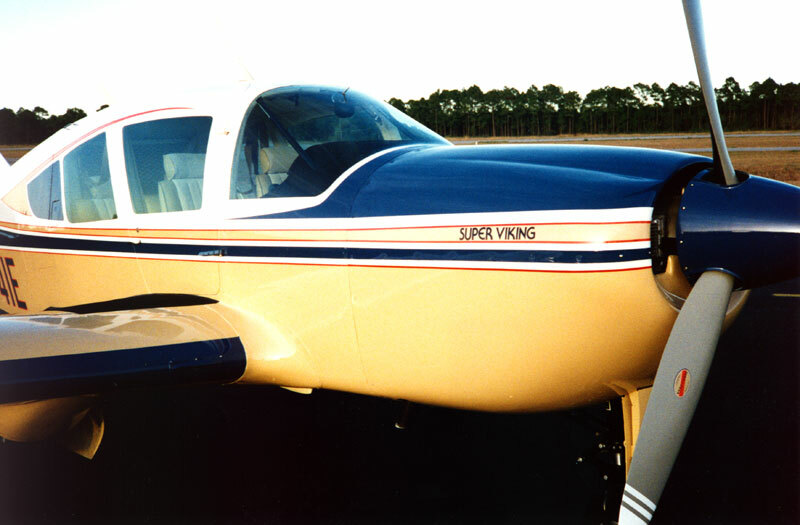 To understand how extensively we invest in many of our airplanes, please click on A Bellanca Super Viking Restoration Example. The description of this restoration will give you an idea of the process we apply to many of our airplanes, and will be well worth your time to read. Of course, each aircraft receives different levels of services as required to bring you a Super Viking we feel you will enjoy for years to come. Please understand that these aircraft cannot compete with other Bellanca aircraft of similar year models on price. Each is representative of an exceptional value. Many owners have now recognized the true value represented in each of these airplanes. You may view many of these previously sold airplanes by clicking on the heading Photographs of some past Inventory. All of these airplanes completed our renewal process which resulted in an aircraft which the owners have enjoyed for many years. Few ever sell them until they must stop flying. If you would like to further pursue the possibility of purchasing one of our aircraft please call or email anytime.